"To unveil the bonds that bind each to all." That's the “central task of the religious community,” says Rev. Morrison-Reed. Unveil the bonds. The bonds are already there, but are veiled, hidden. We don’t see them. But in religious community – that is, community explicitly oriented toward ultimate concern – together we remove the veil for one another. We learn from and with each other to perceive the bonds. We learn to pay attention – to take in the moment just as it is. Our choir sang words that translate as “listen to the wind blowing through the night, breathing peace to all.” Listen. Attention itself cultivates peace. Becoming mindful of those ever-present yet often undetected bonds “inspires us to act for justice.” Because we’re together, and see how thoroughly we are conjoined, we know we are not alone in struggling for justice. “Alone,” as Morrison-Reed says, “our vision is too narrow to see all that must be seen, and our strength too limited to do all that must be done.” But once we see those bonds unveiled, and live out of the awareness of them, the vision widens and the strength multiplies. So, what shall we do with that wider vision and multiplied strength? I’m here particularly to talk today about income inequality, and what we as a people of faith, energized by a deep awareness of our bondedness, can do about that. In 1979, the poorer half earned 20% of the nation’s pre-tax income. By 2014, just 13%. If the US had the same income distribution it had in 1979, each family in the bottom 80% of the income distribution would have $11,000 more per year in income. 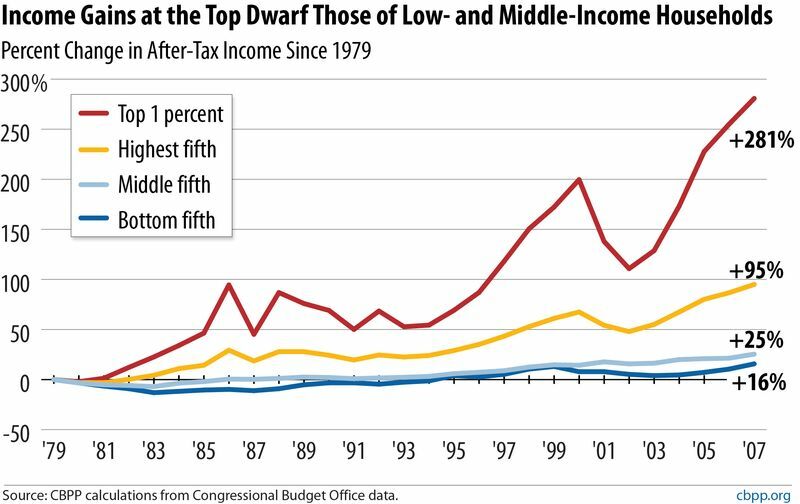 For the bottom 20%, income rose 116%. For the second quintile, income rose 100%. For the fourth quintile, income rose 114%. 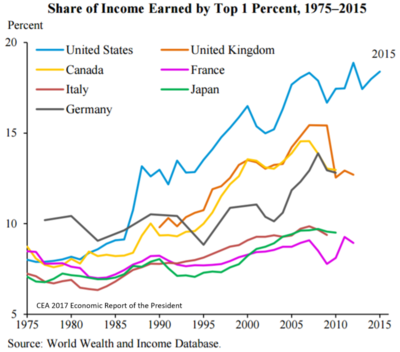 For the top 20%, income rose 99%. The gain of the top 20% was about the same as – though actually slightly less than – the other quintiles. For the bottom 20%, income rose 15%. For the second quintile, income rose 22%. 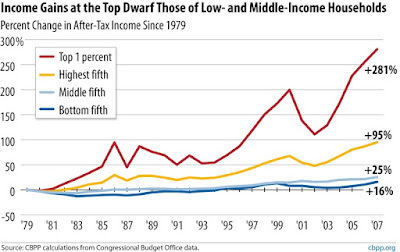 For the middle quintile, income rose 23%. For the fourth quintile, income rose 33%. For the top 20%, income rose 95%. In 1980, the richest one percent of people got eight percent of the income. Eight times the average income would seem to be plenty. Who could want more than that? Surely that’s more than enough. But in 2011, the richest one percent brought home 20 percent of all income. "During the 1950s and 60s, CEOs of major American companies took home about 25 to 30 times the wages of the typical worker. In 1980, the big-company CEO took home roughly 40 times. By 1990 it was 100 times. By 2007, CEO pay packages had ballooned to about 350 times what the typical worker earned.” The ratio is down a little since then – but in 2016 CEOs were still making 271 times what the typical worker made. Don’t let this lull you with a sense of improvement: it’s fluctuating a bit within the range of the egregiously horrible. Modern life is tough. Living the way we do is hard on people: anxiety, depression, unsure friendship, consumerism, lack of community. Not all of that would go away if suddenly tomorrow all income and wealth distribution were at 1979 proportions again. Yet everything that’s tough about modern life is made worse by such huge disparities. This is part 1 of 3 of "Income Inequality"